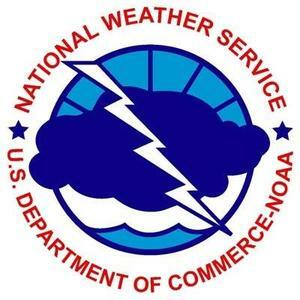 Flash flood watch remains in effect from 2 AM Saturday through Saturday afternoon. A slow moving frontal system will approach the region tonight into Saturday. Heavy rain will become likely late tonight through Saturday morning. Total rainfall amounts will be around 1 inch with locally higher amounts possible. Excessive runoff will be possible, which would lead to flooding of urban and poor drainage areas. In addition, smaller rivers and streams could overflow their banks. 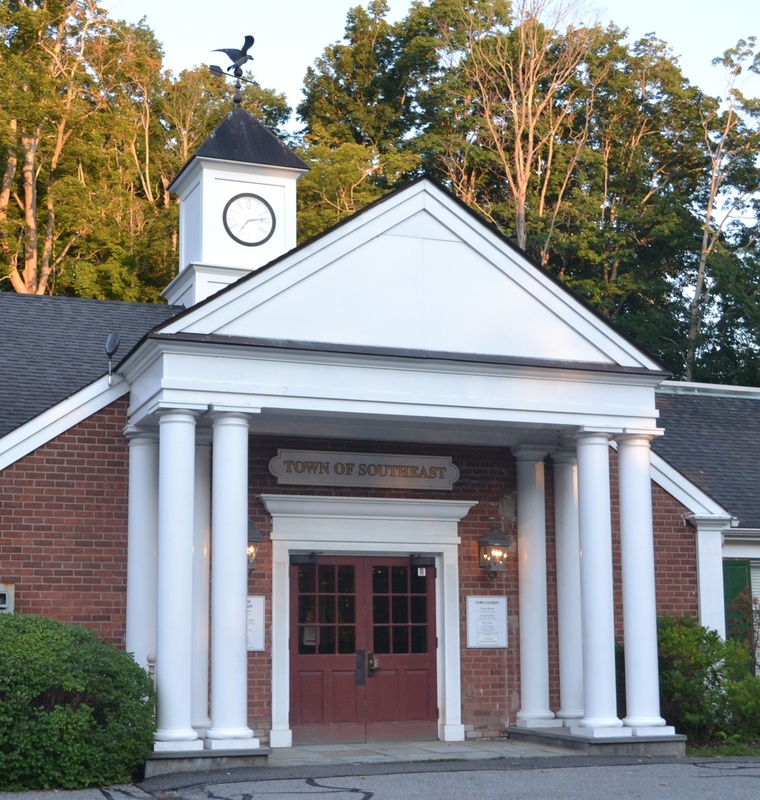 Musicals at Richter (MAR), celebrating its 35th season as the longest-running outdoor theater in Connecticut, will hold 2019 season open auditions for high school (15 and up), college and adult performers Wednesday, April 24 through Saturday, April 27 at Richter Arts Center, 100 Aunt Hack Road, in Danbury. A separate audition session for younger performers (ages 7-14) will be held on Saturday morning, April 27. For younger audiences, MAR’s popular Fairy Tale Theater series, now in its 21st year, offers a theater experience for young people by young people. The hour-long interactive shows, adapted from classic children’s tales, are directed by children’s theater professional Missy Slaymaker-Hanlon of the Ridgefield Theater Barn and performed by a youth ensemble. 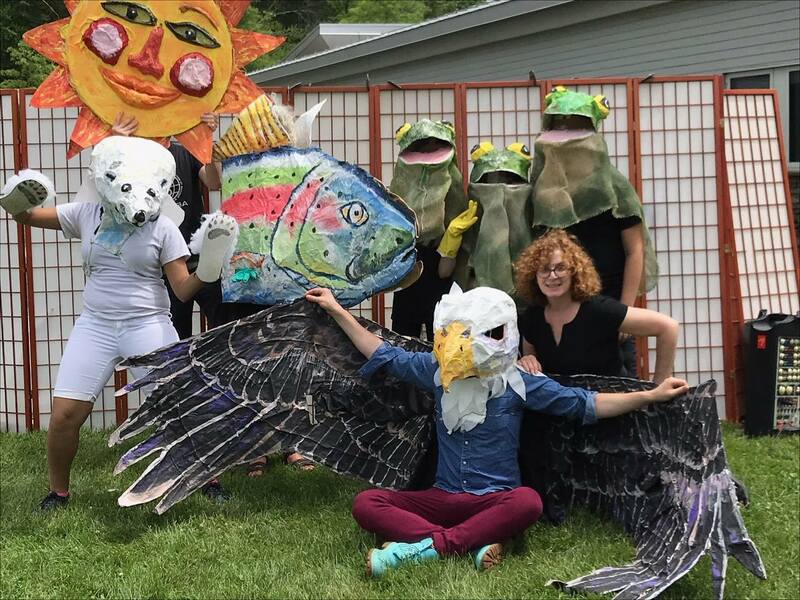 Performances are on Saturday mornings July 6, 13, 20 and 27 at Workspace Education in Bethel. Open auditions for high school (15 and up), college and adult performers will be held at Richter Arts Center, 100 Aunt Hack Road, in Danbury Wed April 24, Thursday, April 25, Friday April 26 from 7-10 p.m. and on Saturday, April 27 from 1:30-4:30 p.m. (Please park next door in the Richter Golf Course parking lot.) Doors open 1/2 hour before all auditions begin. Those auditioning for the two main stage shows should prepare two contrasting songs from the traditional and contemporary musical theater repertoire that show their range, bring sheet music in their key, and be ready to sing only their best 16 measures if necessary. An accompanist will be provided. Auditionees should bring a picture and resume (stapled) if they have them; they should also be prepared to learn a short dance combination and read from the script if asked. All ethnicities are encouraged to attend and all roles are open. Please note that positions are unpaid and housing is not available. Show descriptions and casting breakdowns are on the theater website, www.musicalsatrichter.org. If you are unable to attend any of these auditions, please e-mail info@musicalsatrichter.org. Callbacks will be scheduled as needed. 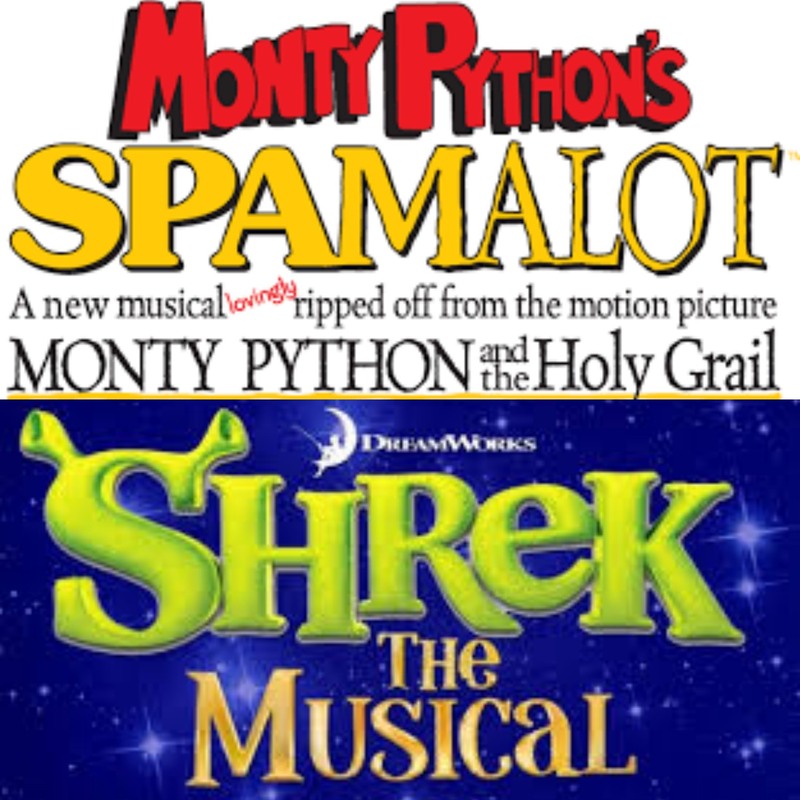 Separate auditions for young performers ages 7-14 will be held Saturday, April 28 from 10 a.m. to 1 p.m. At that time, casting will be considered for youth roles in “Spamalot” and in the Fairy Tale Theater troupe. For Fairy Tale Theater, the director is looking for boys and girls with personality (no experience is needed and no singing is required for Fairy Tale Theater ensemble). Children must attend this Saturday call if they wish to be considered for “Spamalot” or Fairy Tale Theater casting. Other opportunities for young and aspiring performers (ages 8-16) are available through Musicals at Richter’s tuition-based Summer Youth Theater Workshop programs that also culminate in public performances. Participants can choose one or both sessions, which include Professional Master Classes and Showcase (June 24-July 19) and a production of “Disney and Cameron Mackintosh’s Mary Poppins, Jr.” (July 22-August 17). Visit www.musicalsatrichter.org for further details and registration. In addition to performers, Musicals at Richter seeks volunteers from the area for backstage duties such as set construction, properties, costume coordination and running crew, along with front-of-house operations such as house management, ushering and concessions. Visit the theater website for job descriptions; interested individuals are invited to e-mail the theater (info@musicalsatrichter.org). Several positions (such as stage managers) may offer a stipend or possible internships for credit. Performers needed for large scale puppet production. As volunteers, the young folk can earn community service hours. No memorization needed. One rehearsal: April 26 at 6 - 9pm at Studio Around The Corner. Email rebecca@icepond.com for more details. For nine days, UFCW members at 240 Stop & Shop stores in Massachusetts, Rhode Island, and Connecticut have joined in solidarity demanding a fair contract. We continue to see workers standing outside the popular grocery store holding signs and sharing their plight with locals. As a holiday weekend approaches, New England residents flock to neighboring towns to stock up on provisions. UFCW confirms the here has been an outpouring of customer support that we are seeing here at home. In a press release Tuesday, United Food & Commercial Workers Union, Local 371 said that Stop & Shop is still demanding major concessions that could severely impact employees ability to provide for themselves and their families. "We reaffirmed to the company that our members are strong and will continue standing together, rain or shine, until the company does the right thing," they said. They went on to explain, "We know the company is selectively releasing information to the public about what they have proposed. They are only telling part of the story. The concessions they want would affect members in different ways and we will leave no member behind." Pay increases for all associates. A wage package among the best UFCW retail contracts in the country. No changes to Sunday time-and-a-half premiums for current and future full-time associates. For a downloadable version of these facts, click here. By combining strengthening and stretching poses with deep breathing and meditation, yoga is an ideal exercise for developing bodies and minds. 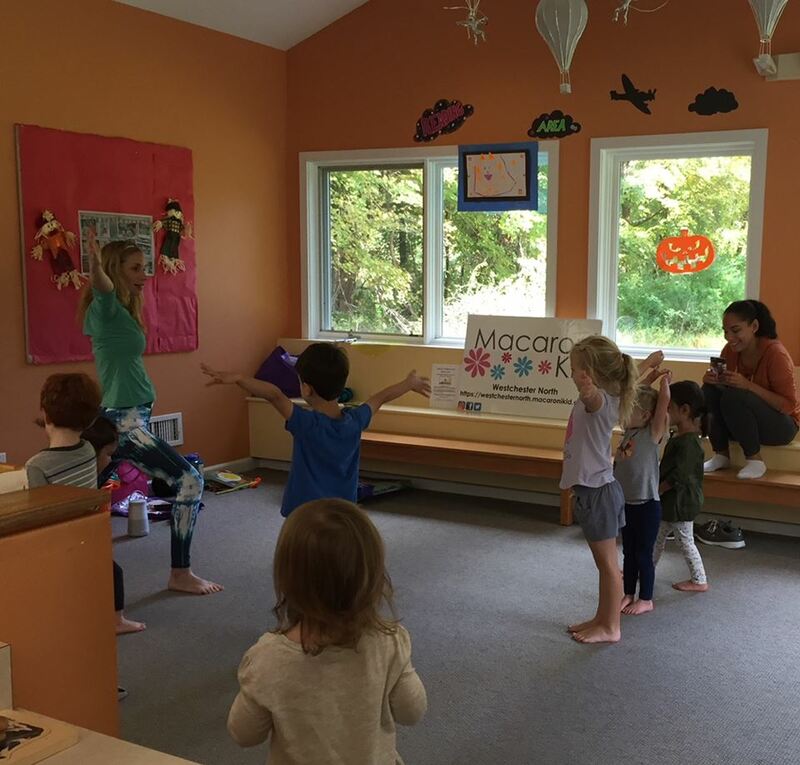 This program, taught by certified toddler yoga instructor Karen Savir, introduces children to basic yoga poses and mindfulness while keeping it fun with games. Caregiver supervision is required for ages 2-5. Please wear comfortable clothes and bring a towel or yoga mat. Registration is required. Register at the library or by calling/emailing us. Karen Savir is also the publisher of Macaroni Kid Westchester North, a website for families with young children living in Northern Westchester County. For more information, please visit https://westchesternorth.macaronikid.com/. 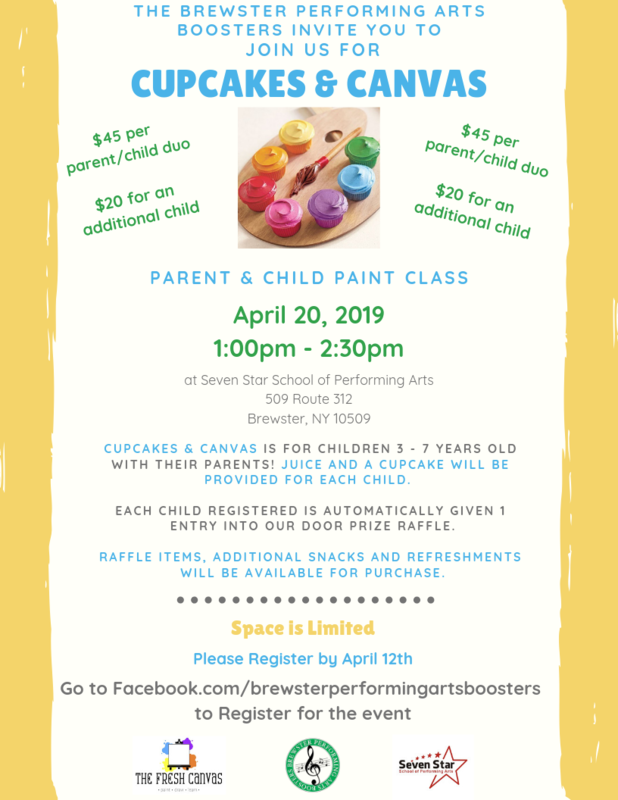 CUPCAKES & CANVAS IS FOR CHILDREN 3 - 7 YEARS OLD WITH THEIR PARENTS! PARENTS AND CHILDREN WILL CREATE A WORK OF ART TOGETHER. CANVAS AND PAINT WILL BE PROVIDED FOR EACH PAIR, JUICE AND A CUPCAKE WILL BE PROVIDED FOR EACH CHILD. EACH CHILD REGISTERED IS AUTOMATICALLY GIVEN 1 ENTRY INTO OUR DOOR PRIZE RAFFLE. RAFFLE ITEMS, ADDITIONAL SNACKS AND REFRESHMENTS WILL BE AVAILABLE FOR PURCHASE. The warm weather provides opportunities to head outside, explore nature, and attend fantastic cultural and artistic opportunities that are within short distances from our homes. Here are 14 things to do in the spring and summer in Putnam & Dutchess counties. Whether it's spring break or summer vacation, I hear a road trip calling. Visit the famous Bannerman Castle ruins, enjoy a guided walking tour of the island, and take a mini hike to the summit on Bannerman Island. This tiny jewel in the Hudson River is home to the rich history of Bannerman Castle and stunningly beautiful scenery. Subscribe to your LOCAL HamletHub! Just type your email in the Subscribe field to the above right and click "Subscribe" for HamletHub’s daily newsletter. Carmel High School student and HamletHub Student Reporter, Chess Cabrera is organizing events to teach children and adults about mental illnesses. 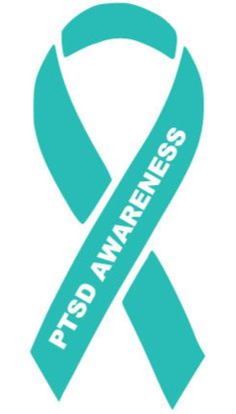 For April, she is raising awareness for those suffering from PTSD, specifically soldiers, by collecting items for care packages which will be sent to our soldiers overseas. Some of the items needed are listed below. If you are interested in registering you or your child to come help make the care packages, click here. If you would like to donate items, you can drop them off at the library during business hours. Thank you for your support! 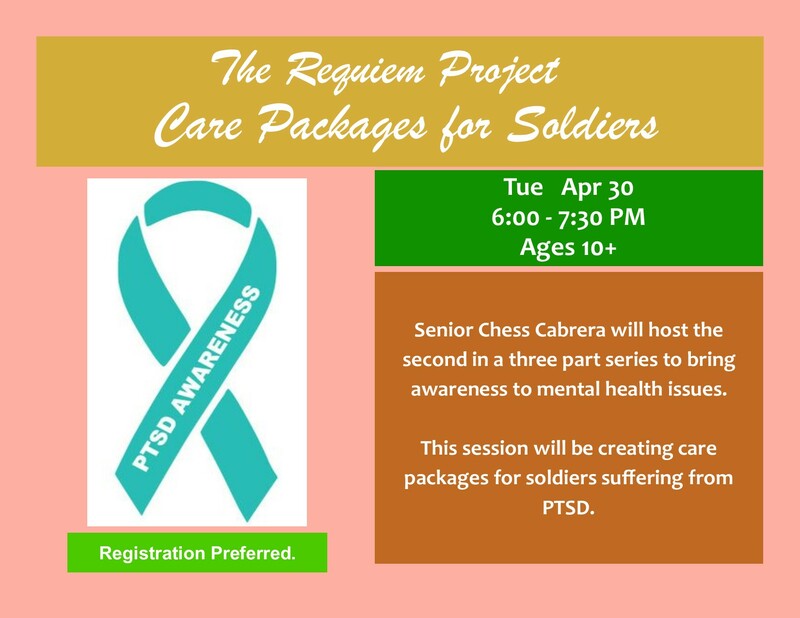 Chess Cabrera will host the second in a three part series to bring awareness to mental health issues. This session will be making care packages for soldiers suffering from PTSD. *Donations will be collected in the red bin across from the Circulation Desk at Patterson Library. The Green Chimneys community has lost another of its most admired members. 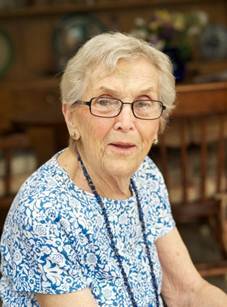 Myra Mattes Ross, co-founder and beloved matriarch of Green Chimneys, died peacefully at the home of her daughter in Las Vegas, NV at the age 88. Mrs. Ross led the renowned education and human services organization with husband Dr. Samuel B. Ross, Jr., who passed in 2018. Following their marriage in 1954, she joined, and helped to grow, the vision for a unique school in a farm setting. Together they developed a most innovative model for providing education, residential treatment, and animal-assisted and nature-based therapeutic programs for children with special needs. Born in the Bronx in 1930 to a hatter and his wife, young Myra moved to Danbury at the age of 6, where she attended local public schools. She was later admitted to Danbury State College (now Western Connecticut State University) where she earned a Bachelor Degree in Elementary Education. She continued her studies in 1968 when she returned to WCSU and graduated with an M.S. in Education with a concentration in Psychology. She became a school teacher and taught in Norwalk and Danbury. For six decades Ross served as Clinical Coordinator and Director of Admissions at Green Chimneys School and Children's Services. Her extensive experience working within residential treatment, group homes, special education, and other child and youth services became invaluable and she worked tirelessly alongside her husband to improve the lives of hundreds of children and families. In addition to her work at Green Chimneys, Ross was a member of the Putnam Community Service Network and a charter member of the Rotary Club of Patterson, NY. She belonged to many professional organizations and spoke extensively at conferences on childcare, education, assessment and documentation as well as on the interaction of humans and animals. She also served as Chair of the Temple Beth Elohim Board of Education for many years. Together, the Rosses received numerous honors and awards for their work: the Delta Society Distinguished Service Award for exceptionally significant contributors to our understanding of the relationships between people and animals; the International Association of Human/Animal Interaction Organization Lifetime Achievement Award; the Massachusetts Society for the Prevention of Cruelty to Animals; and the American Humane Education Society George T. Angell Humanitarian Award. She was also the recipient of a Centennial Award for Excellence at Western Connecticut State University. Myra Ross proudly raised her family on the grounds of Green Chimneys with her children attending the school and working side by side with their parents. She was the mother of David (deceased 1986), Donald, and Lisa who both live in Nevada; mother-in-law to Mary; and the proud grandmother of Samantha Julia and Sara Adele. Memorial Details: A Celebration of Life will take place on Wednesday, May 22, 2019 at 3:30 p.m. on the main campus of Green Chimneys Children’s Services at 400 Doansburg Road, Brewster, NY. 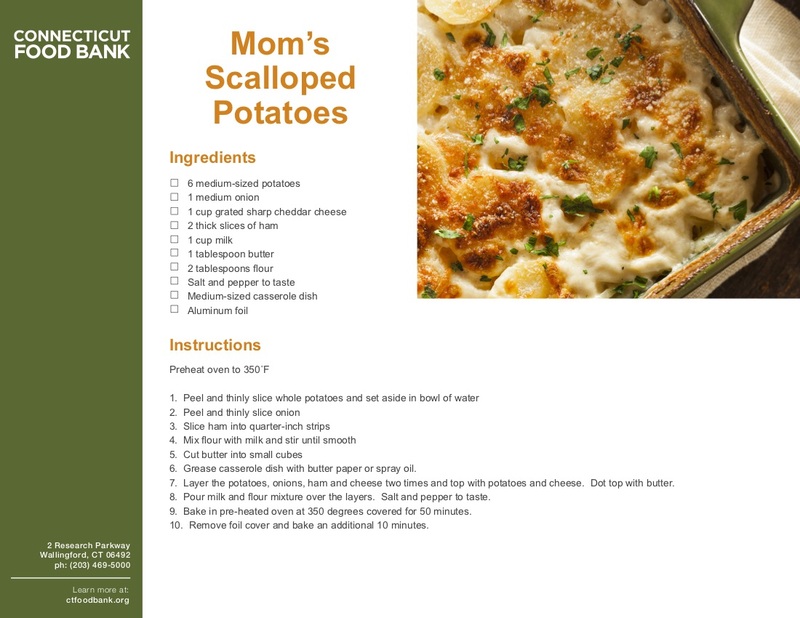 The Connecticut Food Bank's CEO Bernie Beaudreau shared the following recipes. "You make our mission of providing nutritious food to people in need across Connecticut possible! As a token of our gratitude, I’d like to share two holiday recipes. One of my favorites for Easter is my mother’s recipe for scalloped potatoes. 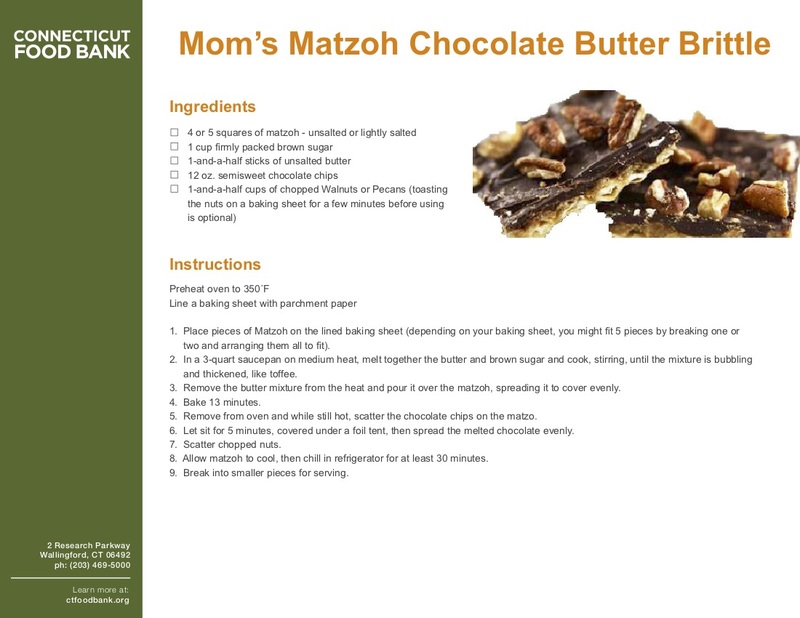 And for those who celebrate Passover, I’m sharing a staff member’s favorite: his mother’s recipe for matzoh chocolate butter brittle. Whether you celebrate Easter or Passover, we hope you’ll enjoy these delicious dishes with the ones you love." Place pieces of Matzoh on the lined baking sheet (depending on your baking sheet, you might fit 5 pieces by breaking one or two and arranging them all to fit). In a 3-quart saucepan on medium heat, melt together the butter and brown sugar and cook, stirring, until the mixture is bubbling and thickened, like toffee. Remove the butter mixture from the heat and pour it over the matzoh, spreading it to cover evenly. Remove from oven and while still hot, scatter the chocolate chips on the matzo. Let sit for 5 minutes, covered under a foil tent, then spread the melted chocolate evenly. 8. Allow matzoh to cool, then chill in refrigerator for at least 30 minutes. 9. Break into smaller pieces for serving. 6. Grease casserole dish with butter paper or spray oil. 7. Layer the potatoes, onions, ham and cheese two times and top with potatoes and cheese. Dot top with butter. 8. Pour milk and flour mixture over the layers. Salt and pepper to taste. 9. Bake in pre-heated oven at 350 degrees covered for 50 minutes. 10. Remove foil cover and bake an additional 10 minutes. Delaware Valley University is pleased to congratulate the recipients of the University's top three merit-based Admission scholarships. Sarah Lloyd, of Brewster, NY (10509), has been selected for an academic merit scholarship to Delaware Valley University in Doylestown, Pennsylvania. The University awards Admission merit scholarships to high-achieving high school students based on GPA and test scores. Delaware Valley University is an independent, comprehensive university with more than 1,000 acres in Bucks and Montgomery counties. 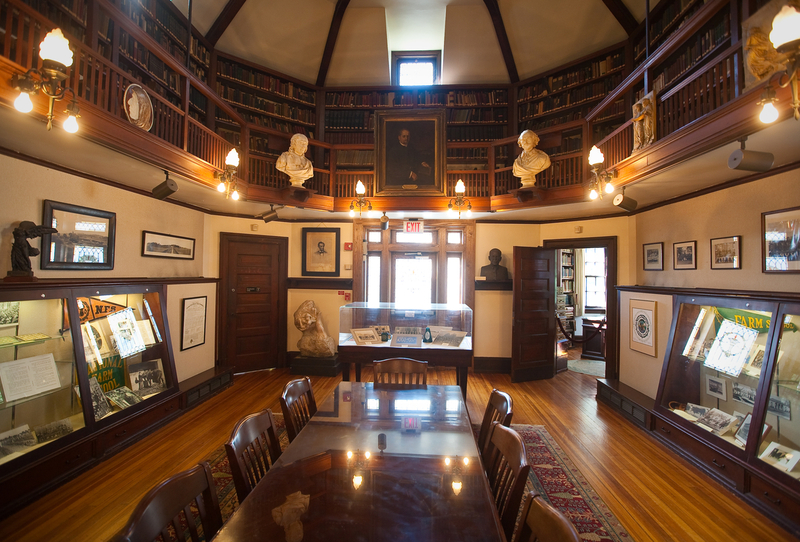 Founded in 1896, DelVal emphasizes experiential and interdisciplinary learning and provides small class sizes where students learn on a first-name basis. Through the innovative Experience360 Program, all DelVal students gain real-world experience in their fields. Located in Doylestown, Pennsylvania, DelVal combines the comfort of small-town living with the excitement of big-city access. DelVal offers more than 25 undergraduate majors in the sciences, humanities, and business, seven master's programs, a doctoral degree in education and a variety of adult education courses. The University's vision is to be the leader in experiential education, empowering all learners to transform the world. Learn more at delval.edu/welcome. 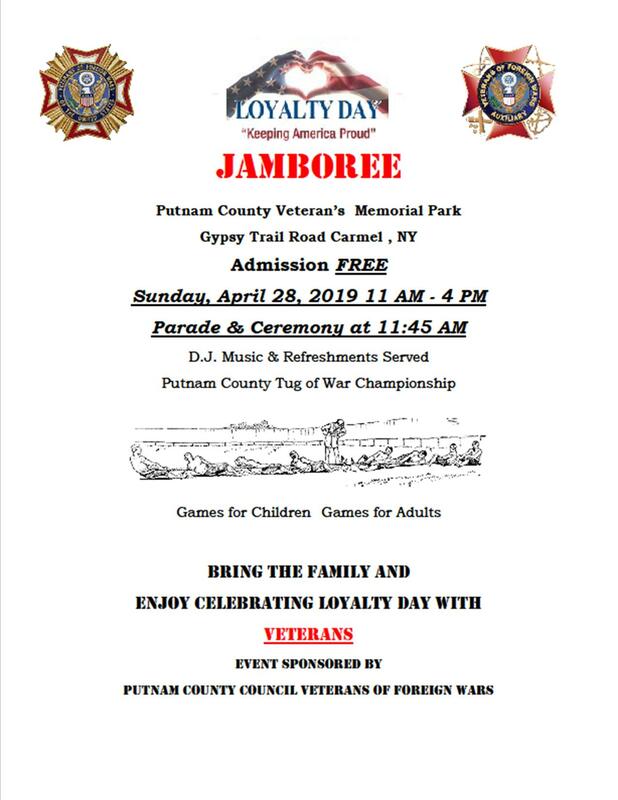 Come out and celebrate Loyalty Day at Putnam County Veterans Memorial Park hosted by the Putnam County Council of the Veterans of Foreign Wars. What is Loyalty Day? Loyalty Day is a special day for the reaffirmation of loyalty to the United States and for the recognition of the heritage of American freedom. 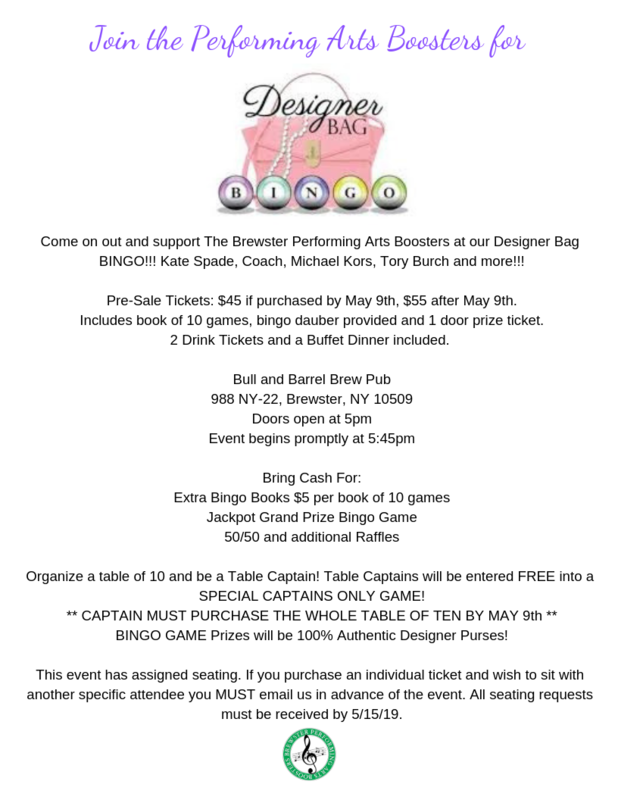 Come on out and support The Brewster Performing Arts Boosters at our Designer Bag BINGO!!! Kate Spade, Coach, Michael Kors, Tory Burch and more!!! Tickets: $45 if purchased by May 9th, $55 after May 9th. Includes book of 10 games, bingo dauber provided and 1 door prize ticket. 2 Drink Tickets and a Buffet Dinner included. Organize a table of 10 and be a Table Captain! Table Captains will be entered FREE into a SPECIAL CAPTAINS ONLY GAME! BINGO GAME Prizes will be 100% Authentic Designer Purses! This event has assigned seating. If you purchase an individual ticket and wish to sit with another specific attendee you MUST email us in advance of the event. All seating requests must be received by 5/15/19. 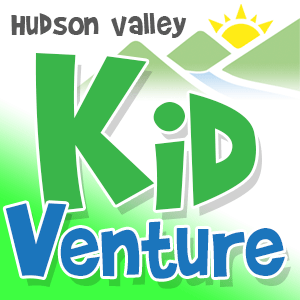 Hudson Valley KidVenture is only a few weeks away, have you purchased your tickets yet? The unforgettable weekend is one of a kind; each day is packed with educational hands-on, exciting activities for children ages 3 to 12. This annual event presented by The Chamber Foundation, Inc. will be hosted by Dutchess Community College on April 27 and 28, from 11 AM to 4 PM. Tickets are $8 online and $10 at the door! Two-day passes are available online for only $12. Get your tickets today at hvkidventure.org. Hudson Valley KidVenture will include over 50 family friendly, all-inclusive exhibitors stationed throughout the beautiful college campus. Every exhibitor will have hands-on activities for children to experience and learn from. Fulfill your children’s dreams by visiting some of this year’s exhibitors, including a Touch-A-Truck event of over 20 trucks and vehicles on display each day for kids to climb on and learn about. Trackless Train rides from the Roaming Railroad. A Two by Two Petting Zoo. A Jurassic Encounter from Fluffy, the baby T-Rex. Celebrity guest appearances from your family’s favorite princesses and Batman! Performances from The Bossy Frog Band and Aerophone Community Band. A magic show from Zaritsky Magic. Say hi to Bee Bee the Clown on your way to the food trucks and the Reptile Encounter exhibit! This event is not to be missed. Proceeds from Hudson Valley KidVenture will benefit The Chamber Foundation, Inc.’s programming and scholarship funds.The Chamber Foundation, Inc., was established to promote education and training programs for area youth and professionals with the goal of enhancing the future of economic growth in the Hudson Valley region. The Foundation's mission is to provide educational opportunities for youth and the workforce, to build and strengthen personal and business capacity, develop leadership skills and foster a commitment to community service.